Folks over at XDA-Developers have managed to hack the popular HTC Sense interface, which ships with HTC HD2, to make it compatible to run in landscape mode. One complain that you would have often heard from users running HTC Sense on Windows phones is the lack of support in landscape mode. With this hack, you can now run the popular interface in landscape mode. Its not perfect yet, and has some alignment issues, but it is still very much usable. One can expect more improvements in future releases. Installing instructions are pretty straight forward, simply follow the steps below to enable landscape mode in HTC Sense on your Windows phone. Step 1: First up, you will have to install Mortscript. Step 2: Now disable HTC Sense interface. Step 3: Install Rotastrains landscape 2.5 .cab file. Step 4: Now Install another .cab file which is for al registry tweak. 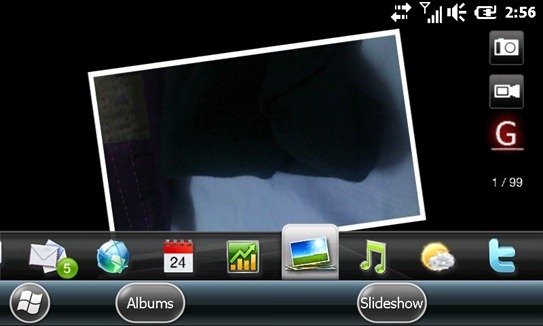 Step 5: Now soft reset your phone and then enable HTC Sense interface. That’s it! You should now be able to operate your Windows phone with HTC Sense interface in landscape mode. Note: This hack will only work on Windows phones running HTC Sense from HTC HD2. You can download HTC Sense 2.5 for your Windows phone from here. 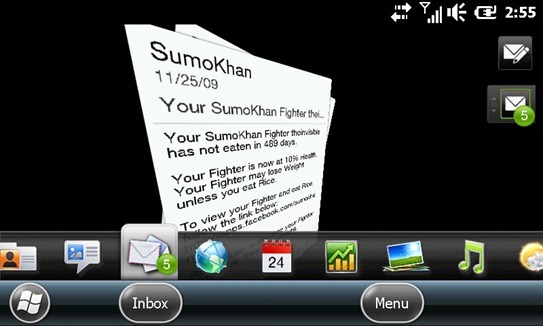 How come the screenshots show the unreleased Windows Mobile 6.5.1 (with the taskbar at the bottom, not at the top)? In step no.4 above, what is the “another .cab file”? I tried with rotastrain_fail.cab but didn't work? I did all the steps but nothing happen? Instructions are not clear and assume too much prior knowledge perhaps! How do you “disable” and “enable” the HTC Sense? While messing with my newly purchased phone, i managed to get it into landscape mode without any tweaking – just messing Wish I knew how i did it!!! i would like info on how to landscape office applications on my HD2. Can anyone help?